SharePoint Server is a web-based collaborative platform that integrates with Microsoft Office. To configure SharePoint site settings, system administrators often use the SharePoint Management Shell that is installed with the SharePoint product. 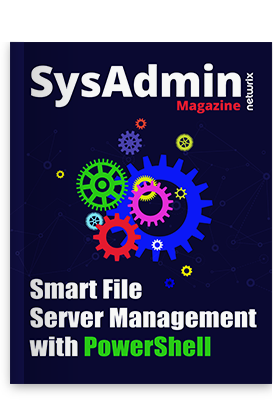 Running the SharePoint Management Shell calls the Windows PowerShell runtime environment and executes a script file named sharepoint.ps1, which loads the Windows PowerShell snap-in for SharePoint and runs a few commands. These commands are not very important; they include choosing C:\Users\Username as the home location for command execution and running the latest version of PowerShell console. A better option is to use the PowerShell ISE. Not only does it include many cmdlets created especially for managing SharePoint, it also offers color-highlighted code, a debug engine and a cmdlet search engine. Now let’s take a closer look at the most useful SharePoint cmdlets. Get-SPSite cmdlet is the main cmdlet for getting information about your SharePoint site collections. It lists the URLs of your SharePoint sites and their compatibility levels (SharePoint versions). Now let’s make a report that will output all files created by a certain user. This script can be helpful, for example, when an employee leaves the company and you need to transfer their data to other people. New SharePoint sites are typically created using a template. To get a list of all site templates, run the Get-SPWebTemplate cmdlet with no parameters. Set-SPSite -Identity "http://sharepoint/sites/netwrixteamsite" -SecondaryOwnerAlias " i:0#.w|enterprise\i.scur"
Now, let’s see how to manage permissions to our site collections. First, let’s add certain access rights to a particular Active Directory user account. In this case, the user “enterprise\t.simpson” will be given “Contributor” rights to the site “http://sharepoint/sites/ent”. Note that before a regular user account name like “enterprise\t.simpson”, you need to use the prefix “i:0#.w|”. Otherwise, the execution will fail and the script will generate an error. Set-SPUser -Identity "i:0#.w|enterprise\t.simpson" -Web http://sharepoint/sites/ent -AddPermissionLevel "Contributor"
To add permissions to a certain AD security group, use the same script but type the name of the group instead of the name of the user account. Set-SPUser -Identity "i:0#.w|enterprise\j.carter" -Web http://sharepoint/sites/ent -Group "Enterprise Owners"
As you can see, managing and reporting on SharePoint sites using SharePoint PowerShell scripts is not as hard as it may seem at first. In fact, in some cases, it is much faster to run a script rather than generate a report from the admin audit log. To keep your Microsoft SharePoint environment secure and highly available, you also need to carefully track changes there. Netwrix Auditor for SharePoint can easily generate reports on SharePoint changes, giving you complete visibility into who changed what, when and on which SharePoint farm. You can also receive notifications about critical changes automatically. In addition, Netwrix Auditor for SharePoint will give you full information about current permissions and how they were granted, as well as show any broken inheritance in your SharePoint environment.